MUSEUM Technicians Sherry Sessions: Down to Work! 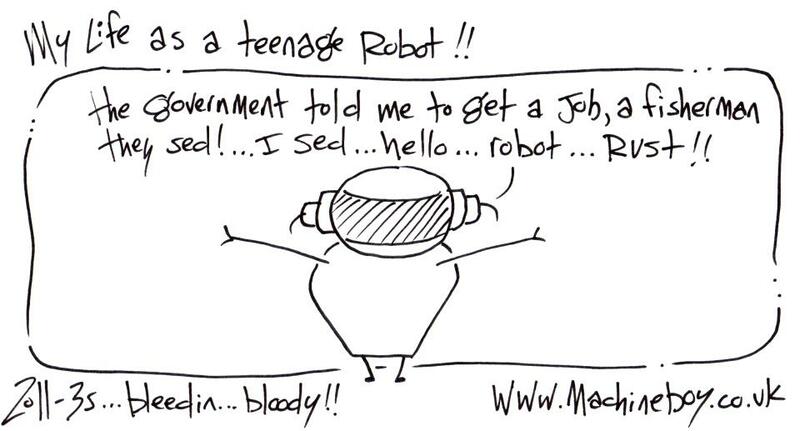 hahahaha......our fave techno comedy duo, museum of techno continue their essential work doing.......erm........all things techno...obviously! (and you can do a little gear spotting! ), they have loadsa brilliant video's on their youtube page check em out and subscribe HERE! MUSEUM of Techno Making a Beat Part 2! MUSEUM of Techno Making a Beat Part 1! 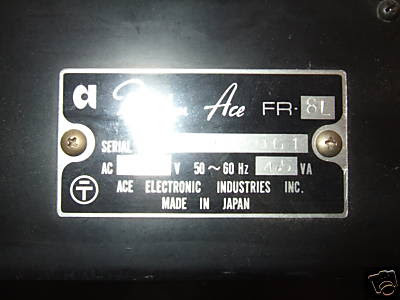 ACE TONE Rhythm Ace FR-1...for sale! Excellent condition and working order (does have some bumps and bruises on cabinet). I plugged into and amp and all functions are in working order. Has 16 different sounds with a Tempo Control and Cancel buttons to remove Cymbal / Claves / Cow Bell or Basse Drum (or all four). 3.5 Watts / Made in Japan. Comes as pictured. Cabinet approximately 21" Long X 7" Wide. Includes plug and cord. ROLAND rhythm 33 analogue...for sale! 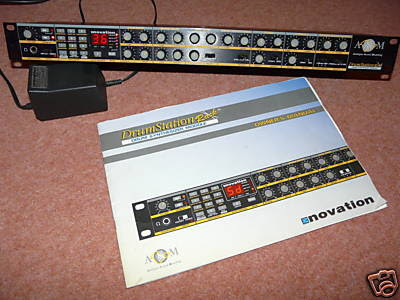 NOVATION DrumStation Rack Mount Module...for sale! Good condition all in working order with original manual and power supply. Original box not available but will package well. Paypal preferred. Cheque accepted. Will post when cleared. 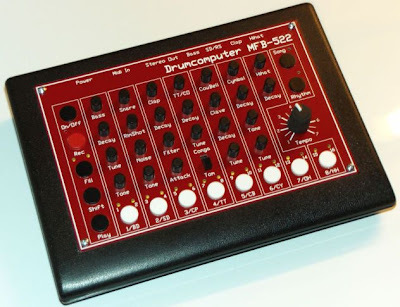 This is the first true TR-808 / 909 clone! Unlike the rest which use only samples, the DrumStation employs analog Sound Modeling - digitally synthesized models of the original waveforms which can be shaped, just like analog. This means you can adjust the tone, attack, decay, tuning, snap, and distortion of its drum tones. It includes all of the sounds found in the original 808 and 909's, the same tone controls for each drum part, and my favorite is the DIN Sync output which will allow you to sync a TB-303, 909, or 808 to it, just like the original boxes. This is the perfect source for believable, tweakable 808 and 909 drums! It also features modern functions such as full MIDI implementation and control of all parameters, distortion, front-cut edits, note-off programming, programmable drum kits with 40 memory locations, and general-midi drum mapping. Plus there are multiple assignable individual outputs! It's used by Orbital, Laurent Garnier, and Hardfloor. TENORI-ON w/ vintage drum machines samples! KiNK composing live on Vermona DRM part II! STEINBERG Groove Agent 3 Review! Steinberg Groove Agent 3 is the third incarnation of Steinberg's phenomenally successful Groove Agent virtual drummer VST instrument, and is a major step up from previous versions. Groove Agent 3 combines a huge library of drum and percussion sounds with a range of player technologies to give you dynamic, ready-to-go drums, beats, rhythms and percussion in only a few mouse clicks. Top-quality drum samples and live recorded drum performances in a massive number of variations cover 123 different styles from over 50 years of music history, automatically synced to the song tempo. And Groove Agent 3 also features more kits and sounds, including 3 new top-rate acoustic drum kits, as well as the ability to import user samples in wav and AIFF format for even more flexibility. Steinberg Groove Agent 3 adds two new agents to the Classic Agent seen in previous versions: Special Agent and Percussion Agent. While the top-notch Special Agent adds an astoundingly realistic studio drummer complete with new acoustic drum kits to Steinberg Groove Agent 3's arsenal, the Percussion Agent is specialized in red-hot percussive grooves and beats. The new Dual Mode puts any two of the three agents together in the recording studio for scorching virtual drum and percussion sessions -- all within one single VST instrument. And while Steinberg Groove Agent 3 breathes new life into any production with its inspiring and inventive drum performances, it's also an ideal sparring partner for practice or jam sessions. Add inspiring live drum patterns and percussion performances in real-time to your song and quickly record the result. Huge audio library: 10 richly detailed acoustic kits and 9 drum machines plus a vast array of acoustic and electric percussion sounds in outstanding quality. Classic Groove Agent module offers fully editable drum styles with corresponding kits and FX. NEW -- Dual Mode combines the breathtaking creative power of two Agents playing side by side within the same VSTi. NEW -- flexible User Import Sample feature (wav/AIFF) - Create your own kits. NEW - Auto Fill functionality and useful Speed control for jamming and practicing. RealAmbience technology offers true recorded ambience for drum kits to perfectly blend into any mix. NEW - 9-band EQ and compressor for each of the 12 stereo outputs, useful Presets included. 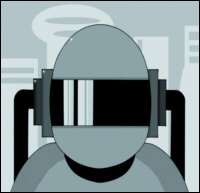 Record Groove Agent beats to a MIDI track with Cubase and Nuendo or export Groove combinations to a MIDI file for further editing in any host. Supports all major formats: VST, DXi, AU + Rewire for easy Pro Tools® integration. Standalone version with multiple-output support included. For usage as plug-in, a VST (VST 2.3 or higher) or AU compatible host is required (AU hosting is compatible with Logic 7.1.1). For usage as Rewire slave device, a Rewire compatible host is required. Windows MME compatible audio hardware is required (ASIO compatible audio hardware required for low latency operation). For usage as plug-in, a VST (VST 2.3 or higher) or DXi2 compatible host is required. For usage as Rewire slave device, a Rewire compatible host is required. *The Steinberg Key (USB copy protection device) required to run this product is not included. Customers who do not own a Steinberg Key must purchase one separately. The same Steinberg Key copy protection device is then used for all Steinberg products that require it. My €100 touchscreen drummachine built in Max/Msp. The touchscreen was $65 from http://www.lavatechnology.com - it's a 5 wire resitive touchscreen overlay. The software uses a lot of Eric Lyons PotPourri objects (http://www.sarc.qub.ac.uk/~elyon/LyonSo ftware/MaxMSP/). There's more on how I made it in the second video. Go to http://audiolemon.blogspot.com/2008/ to see more and get all the links. 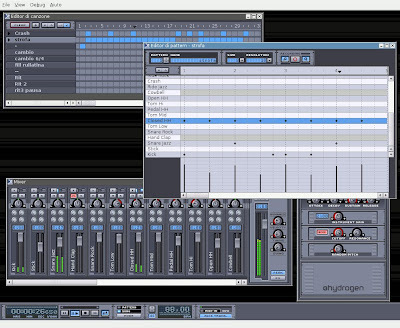 BEATMAKER Make Beats using Music Production Software! - If you want to make beats online and produce instrumentals with music production beat maker machine. You will make thousands of beats and you don't even need to be a professional musician or have any experience, it's super user friendly to make your own beats and you won't believe the quality of the sounds it's packed with. MUSOTALK 250 Angecheckt NI Maschine part 1! CIRCUIT bent Korg DDD-1 by exFade! BUILDING Bangers on The Beat Thang! Kang Boom Bap shows us how easy it is to build a bangin' track on the Beat Thang. ROLAND electronic drums demonstrated by Craig Blundell! JOHNNY CASH Belshazzar Machine Drum Remix! SEQUENTIAL CIRCUITS 8bit vintage 1985! AMIGA and Drum Machine JAM! This is me, Krazy ATE on my Drum Machine, the Streetboxx SB-246 by Zoom. I'm just playing around doing whatever. It was kind of early in the morning and I haven't slept yet but I think it's an alright loop. JOMOX XBase888 NAMM 2008 Big City Music! Here is the new Jomox XBase888 drum machine at the Big City Music booth (#6735) at NAMM 2008. This is some pretty random stuff in a very noisy environment, but really, this thing sounds great! Available new at Big City Music! DAVID "fingers" Haynes with Brian Clay and Friends! KORG KR55 Demonstrated By Anjelicas Baby! the owners manual is HERE! 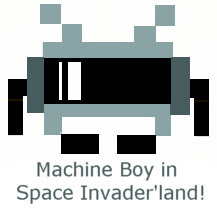 and one mp3 demo HERE! PHATBEATZ wav drag to host! ACE TONE Rhythm Ace with MIDI! This is a short demo of an Ace Tone Rhythm Ace Drum Machine to which I added MIDI trigger capability. It's being triggered by an Oberheim DX'a' (the 'a' was the last DX model made by Oberheim and featured stock MIDI), running a few simple patterns. The Rhythm Ace has about 9-10 drum sounds, most of them are made using resonant transistor oscillator circuits - all the transistors are Germanium - with inductors. 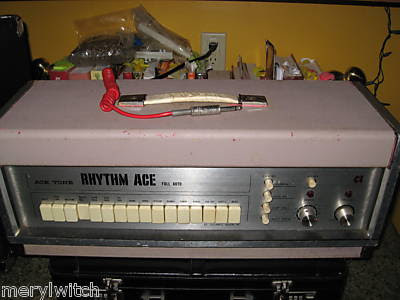 There are no IC's anywhere within the Rhythm Ace (well, now there is with the MIDI board). Ace Tone ultimately became Roland, and while the classic TR-808 typically uses a different type of drum oscillator circuit, it's interesting to me that the Rhythm Ace seems to have a Roland quality to the sound. The MIDI board is made by Highly Liquid and is actually intended for use in the Atari 2600. I added some interface circuitry that inverts and creates brief decaying-exponential triggers from the pulses of the Highly Liquid board. One limitation here is that the Ace Tone COULD respond dynamically to the triggers, as the sound varies depending upon the shape and size of the trigger pulse. I didn't optimize for that, and that's pretty much why you don't here any open hats or low congas. And you CAN get the bass to boom a la 808 by tweaking a trimpot in the Rhythm Ace, but I held it back a bit here. I do apologize for the lack of bass here - it's due to the lousy mic on my video camera. Someday I'll get my act together and record these videos with a mixed line-in to the camera. BEATING my drummachine with a camera in my face...! 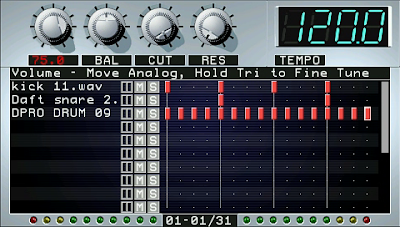 RHYTHM is an audio sequencer for the Sony PSP (Playstation Portable). RHYTHM was created to entertain and inspire the end user (producer) by allowing the user to create music with a high level of artistic freedom. RHYTHM is a single player game where the user organizes sounds into rhythmic and melodic patterns, and then organizes the patterns into complete, exportable songs. 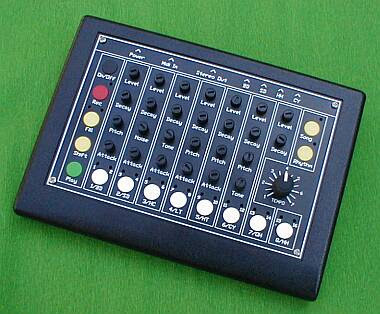 Up to 16 sounds can be simultaneously sequenced with a precise degree of control in up to 64 patterns. These patterns can then be arranged into a song which can consist of up to 999 song steps. The user can then export the completed song as CD quality PCM wave files. The heart of RHYTHM is its sample based audio engine aptly named the RHYTHM ENGINE. The RHYTHM ENGINE enables the user to chop, pitch-shift, time-stretch, and effect digital audio files. The graphic user interface (GUI) is designed to be a highly efficient visual aid to the creative process of producing electronic music. RHYTHM clearly displays the basic building blocks of audio sequencing, musical notation, sound editing, effects processing, and song arrangement in a well defined and organized manner. The GUI is easy to navigate while still providing detailed information and control over the user’s music. RHYTHM uses four pattern mode views (PATTERN, TRACK, WAVE, & EFFECTS) and one song mode view (SONG) to display all song information. Each view has similar control and data input. Each view displays a specific type of information. PATTERN VIEW displays an overview of each pattern. TRACK VIEW displays sound specific pitch information. WAVE VIEW displays sound specific sample information. EFFECTS VIEW displays an overview of the effects applied to each sound. The control scheme and button implementation is designed to be simple and easy to understand. Button functions are intuitive and require little guidance to learn. Control functionality is consistent throughout each view. RHYTHM's simple and intuitive interface gives the user access to an otherwise complex music process. Producing music is streamlined which keeps creative ideas flowing instead of being interrupted by a bombardment of programming features and a cascade of menus and sub-menus. With beat templates and instrument sequences, RHYTHM will instantly bring out the music producer in everyone. for more info & to download this wicked piece of software from HERE! BENTLEY Rythym Ace Classic Vintage....for sale! Classic Vintage Bently Rythym Ace Rythym Machine, All functions appear to work fine, Very nice sounds produced, Home use condition never gigged, can be viewed/heard in fulham london, take a bid HERE! 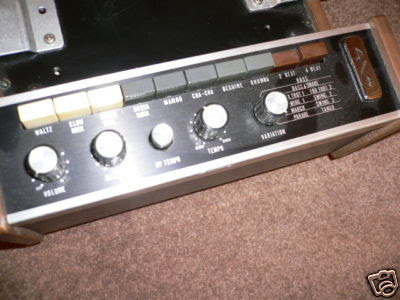 This is the Korg KPR-77. Neat little drum Machine with a warm tone. The toms sound great. Kick could use a little more depth, snare could use more snap... but the still sound neat, obviously. You could always do the Plutonique9 Mod and add a quick pitch ENV to the kick and a faster attack to the snare. I hear it sounds great! I had been intending to do the mod, but am instead selling the machine and switching to vintage samplers. Thought I would make a quick little video to help sell it, so here it is! The KPR is a cool machine, but is mostly overshadowed by the Roland stuff, particularly the 606. The 606 does sound cool, but I think the KPR has much better toms. I personally think that the Boss DR-110 sounds better than both of these, but it lacks toms, and that's a bummer being that I love the analog tom sound. The KPR does sound very unique, sounds amazing with a little TLC in the EQ and Effects department and will definitely add a unique sound to your setup. Try dropping some of the Lower Mids a bit and boosting the Low. Delay is always great, and of course something to grunge it up is awesome too. JEFF MILLS, Nextech 2008 Firenze TR 909! been out politikin but now im back. check out this new joint called "tha jump off". Rhythm version 8.0 Free Homebrew Drum Machine Synthesizer for the PSP! A tangible rhythm sequencer. Ball bearings are used to trigger (Roland TR-808) drum sounds. Visual feedback is provided from a CRT display underneath to indicate the current time and the state of each beat. KAOSS pad 3 Drum Machine Test! Here is a little test of the Drum Machine that come with Kaoss Pad 3 (drM.1 effect). You have to adjust the same BPM into the Kaosspad and Kaossilator. Note that there is a limitation: you are not enabled to switch between the effects because it will stop the drum as seen in the end of this video. I created the rest of the music with the Kaossilator and sampled & Looped into the Kaosspad 3. DRUM Machine Video Game Player in Korean Arcade! This guy can play the drums (well...kind of...!) and it appears he plays them on a video game drum set machine in Busan in the Nampodong PIFF district where there is really ultra cool video game arcade. A BIG mess from Thank You For The Drum Machine! 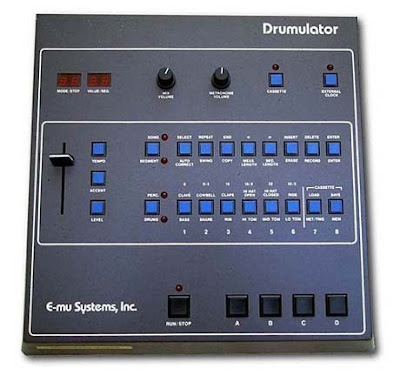 Here at DruMachineBoy towers we love Thank you for the drum machine....and it aint only because they've got drum machine in their name...altho it does help!! nice!! 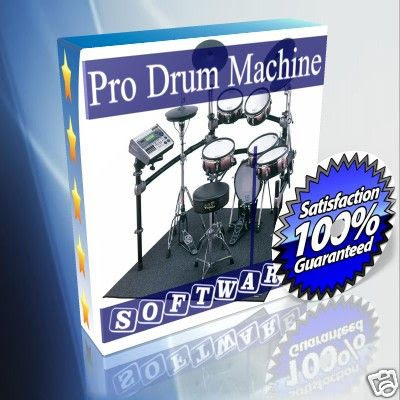 DRUM Machine Software Roland kits...for sale! My new VSTi recreating the sound of vintage 70s drum machines. Fully synthesized and tweakable. Will be available from my website when it's up and running. LINN Drum LM1 Vintage RARE...for sale! 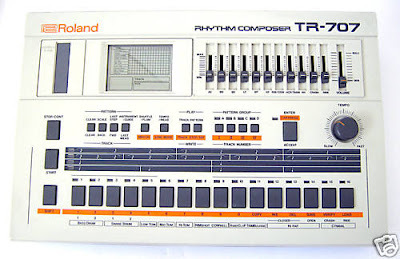 RARE Vintage Roland TR707...for sale! 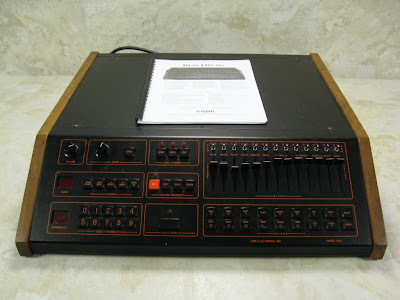 This is a Rare mid 1980's vintage sample based Drum Machine from Roland, their TR-707, programmable, with the ability to produce sounds from Bass and Snare Drums, High, Med and Low Tom, Rim-Shot, Cow-Bell, Hand Clap, Tambourine, Hi-Hat (open/closed) and Cymbal (crash/ride). It has both Midi In/Out and DIN Sync controls, and individual outputs and slider controls for each sound. The Machine has been lightly used but is nevertheless in Excellent condition, working Perfectly and with no structural damage. All knobs, buttons, fittings, etc are Excellent. Body and panel surfaces possibly show light dirt or friction. The LCD surface and display are Superb. A 240V AC/12V DC mains Cable is included, not original. Optional pick-up is available for this item, from the Elsternwick/Caulfield area (Melways ref 68). ULTRABEAT Drum Machine in Logic Pro8! 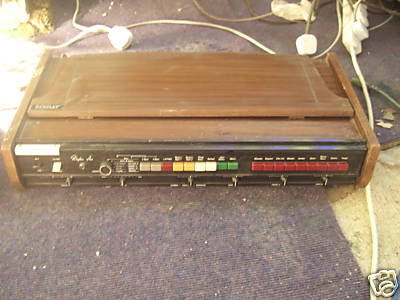 KORG Rhythm KR55 Vintage 1970s...for sale! 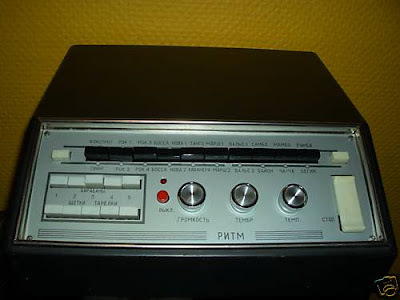 Controls on the machine are as described above; 96 rhythms, a Swing-Beat control, the obvious Tempo Control, Volume, Start/Stop button, and a Intro/Fill button, as well as individual instrument volume controls for Bass Drum, Snare Drum, Cymbal, Hi-Hat, Tom-Tom/Conga and Rim Shot/Cowbell/Claves, allowing for a whole range of different sounds, mixes, and providing a clear, and easy scope for interactivity. At the back, in the form of ¼ inch standard audio jack sockets (same size as a standard guitar cable), there are slots for ‘Signal Out – High’, ‘Signal Out – Low’, ‘Footswitch – Intro/Fill’ and ‘Footswitch – Start/Stop’, as well as one labelled ‘Trig Out - +5v Out’. There is also a slidey switch called ‘Trig Select’, on which, options are (as note symbols) Semiquaver, Quaver, Crotchet, Semibreve, and ‘BD’. I’ve never used this feature, to be honest, so don’t know entirely what it does, although i would guess that it might affect the rate or timing of Fills etc. The labels a bit mucky, but still readable. Footswitches are easy to get hold of, or even make, as i did once. A Standard ¼ inch jack keyboard sustain pedal would work nicely; this was what i used with it, before getting an actual keyboard to use the pedal on! This box also boasts a massive 2.5m power cable, so you won't need to drag extension lead all over the place to plug it in! “Thanks to Korg's synthesizer experience, this advanced rhythm machine offers more realistic percussion instrument sounds than ever before. And special digital circuit techniques allow you to help create the rhythm instead of merely selecting it. Add intro and fill-in patterns, and adjust bass drum, snare drum, hi-hat and other instrument volume independently to obtain optimum balance and mixing. The total of 48 different rhythmic patterns include the latest from rock, pop, and disco. We've also added a trigger-out jack for extending the system to include a synthesizer or sequencer. But this old box hasn’t given up; these old Korgs were built like tanks, designed to be used by real musicians; not daintily handled by conservative dabblers in the electronic arts, and as a result, it’s as strong and steady as it was, the day it came out of the factory. The sounds these boxes produce is brilliant; warm and classic... no cold, digital sounds here, only that brilliant classic warmth, which only these old machines seem to do. I've been running this one through a spare guitar amp i had lying around, and that sounded great; playing around with gain and distortion, as well as the amp's tone controls allows for a whole new realm of brilliant sonic experimentation; this truly is a versatile box! These machines have been used by Jean Michael-Jarre and Depeche Mode, as well as Trio, as mentioned above, and as such, hold fantastic sounds, as well as great reputations within the electro and electro-pop genres. As well as this, i’m sure that it’s use could be carried into any number of further genres, due to it's versatilite sounds and controls, or even fused with existing genres, to create entirely new and exciting sounds. 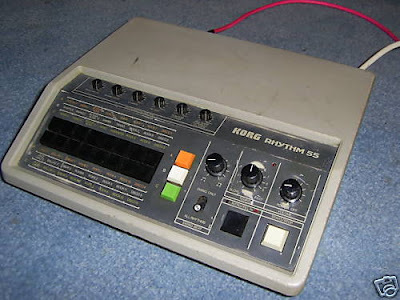 There are plenty of videos of the Korg Rhythm-55 on youtube, which go some way to demonstrate what this box is capable of, which i would highly recommend looking at, so that you can really get to know the sound. and even starting at £149.00 on ebay right now, at the time that this listing goes on. Frankly, these prices are meaning that these machines are increasingly becoming pieces in the collections of proffessionals, who can afford to pay such prices, but not this machine! The low price on this KR-55 is to try and get it into the hands of someone who might not usually be able to afford one, but might really want one. Too many people nowadays are in music for the money, and i, for one, am tired of it... this machine was built for music, and hopefully by starting it at this price, it’s going to stay in the hands of someone who’ll use it and love it, rather than keep it as a ‘collection piece’. My reason for sale is that i don’t use it as much as i should, nor as much as it deserves to be used, and am currently trying to raise some money for a new acoustic guitar. By putting it on ebay, it’ll hopefully end up in the hands of somone who’ll use it more than i do, and i’ll hopefully end up with a new acoustic sometime soon! As a closing note, i honestly, seriously doubt that any more of these machines are going to turn up at this price, any time soon; if it’s a KR-55 you want, they don’t come much cheaper than this! If you want any further information, pictures or have any questions regarding this vintage drum machine, feel free to ask away, and i’ll do my best to reply. RITM Vintage Analog 1976 RARE...for sale! CONRAD AK CRM260 Analog Drumcomputer! JP playing the Korg KR55b!